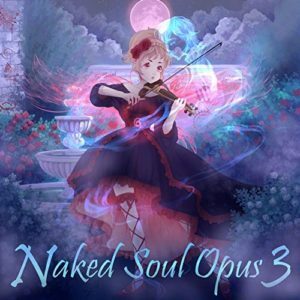 Nika Cantabile has just released the follow-up to Naked Soul Opus 2. Starting off with Sennen Kowa Sagashiteru (from D Gray Man), Nika is able to bring forth tremendous highs and a heavier, chunkier sound together into something that will immediately draw listeners in. Naruto’s Orochimaru No showcases repetition to a fantastic degree, with just enough in the way of variation to keep listeners keyed on in through the effort’s four-plus minute run time. We were particularly happy at the inclusion of Hedwig’s Theme (Harry Potter) into the mix on Naked Soul Opus 3. The brooding brilliance of the track is built upon through Nika’s violin work. I know it sounds cheesy, but I’d personally love to hear Cantabile take on Shinsuke Nakamura’s “Rising Theme” theme in the future. Check out the album, out now on Amazon.